The post ‘A Fisherman’s Tale’ Is A VR Puzzler With A Miniature Twist appeared first on VRScout. 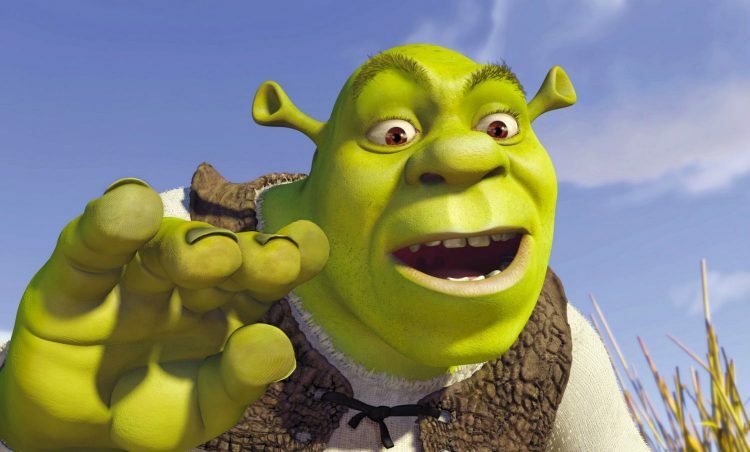 Someone has turned all of the first Shrek movie into an 83-minute Beat Saber track. Yes, really. ShrekSaber, which I really can’t believe I just typed, is now available to download for the ever-popular VR rhythm game. Yes, a modder named KingPeuche has taken the entirety of the ogre’s original adventure and mapped it to one mammoth level in the Star Wars-inspired title. Notes are stuck to the soundtrack, but all of the dialogue is in there too. It’s like Shrek the audiobook… the VR game. This guy streamed it, just in case you still don’t believe me. That means immortal hits like Smash Mouth’s All Star and actually immortal hits like Hallelujah are now available inside Beat Saber, you just have to play through a lot of unbearably cheesy movie to get there. It took KingPeuche over 120 hours to make ShrekSaber. The modder told Beat Saber fansite, bsaber, that they had often seen requests for Shrek and Bee Movie (yes, really, Bee Movie) to be mapped to the game. Well, history has certainly been made. Oh and, don’t worry, KingPeuche is planning to map Shrek 2, too. VR is saved! The post Someone Turned All Of Shrek Into A Beat Saber Track (Yes, Really) appeared first on UploadVR. Having been acquired by Bethesda parent company, ZeniMax Media, back in 2017, Escalation Studios this month became a bigger part of the publisher. Escalation has been renamed to Bethesda Games Studios Dallas, it was announced during Quake Con this weekend. The studio is known for its work helping Bethesda bring two of the biggest games in the industry, The Elder Scrolls V: Skyrim and Fallout 4, to VR headsets in 2017. Before Bethesda picked it up, it also created a VR version of Please, Don’t Touch Anything!. Currently, the team is helping the main Bethesda outfit, working on the upcoming Fallout 76 and its next-generation role-playing game, Starfield. It’s also working on Elder Scrolls: Blades, a new entry in the beloved fantasty series that’s set to receive VR support. There’s still no word on exactly when the game will launch on what headsets, though. Right now Bethesda has another two VR projects in the works. One is Wolfenstein: Cyberpilot, a spin-off of the popular revival of the classic shooting series, while 2017’s Prey is also getting VR support for its latest batch of free content. Hopefully Bethesda Dallas will be able to get back to some big VR projects in the near future, too. The post Skyrim, Fallout 4 VR Developer Escalation Becomes Bethesda Dallas appeared first on UploadVR. Khronos Group’s anticipated VR/AR standard API, OpenXR, is finally getting its first ever public demo at Siggraph 2018 this week. The platform, which was announced at GDC last year, will be shown running an Unreal Engine VR demo inside both the StarVR and Microsoft’s Windows ‘Mixed Reality’ VR headsets at the event in Vancouver, Canada, from August 12th – 16th. OpenXR is designed to streamline development of VR and AR applications for studios working across the broad range of headsets and control inputs in the market today. Its interface is able to automatically adjust apps and control schemes to accommodate the varying specifications of these devices without asking developers to spend large amounts of time doing it all manually. The group includes over 140 members, with major players like Google, Sony, Valve, HTC, Samsung, Magic Leap, Oculus, AMD and Nvidia involved. Crucially, StarVR and Windows headsets offer very different specifications. The latter, for example, is one of the few home-based VR devices to currently offer an inside-out tracking system, and can run apps separate from the SteamVR and Oculus ecosystems on PC. StarVR meanwhile, is intended for location-based solutions and offers a higher field of view (FOV) and display resolution than many other VR devices as well as support for a range of peripherals. The two headsets should serve as a good example of how VR development can be simplified across two very different devices, then. Next up on the OpenXR roadmap is a provisional release for developers to test via an adopters program before a full launch later down the line. Dates for either haven’t yet been announced. The post First Ever OpenXR Demo Heading To Siggraph 2018 This Week appeared first on UploadVR. You can finally try Mario Kart VR outside of Japan; Bandai Namco’s surprising collaboration with Nintendo launched in London earlier this month. This new video offers you a closer look. Footage from the video below was taken at the launch event for the racing experience, which is on show at the VR Zone in the Hollywood Bowl inside London’s O2 arena. It gives you a good look at the setup, which uses an HTC Vive, a pair for Vive Trackers for your hands, and a racing wheel and seat to provide a fully immersive experience. Meanwhile, inside VR, you’ll be transported to the Mushroom Kingdom to play as either Mario, Luigi, Yoshi or Peach. As you steer around a vibrant track you can reach out with your hands to grab and toss items. The experience can be played with up to four players. You can book a slot to play Mario Kart VR over on an official website. Later this summer the game will also come to VR Zone locations in Leeds and Tunbridge Wells. No word yet on a showing in the US, sadly. The post Mario Kart VR Gets A Deeper Look As London Location Launches appeared first on UploadVR. Leading motion capture company Vicon is jumping deeper into VR with a new tracking system for location-based solutions. You may have seen Vicon’s tech at work in hit movies like Blade Runner 2049 and Gravity as well as games like the VR-compatible Hellblade: Senua’s Sacrifice, but its work in VR opens up a new avenue for the company. Using a combination of new hardware and software the new platform, named Origin, is designed to offer ‘unbreakable’ tracking to VR arcades and installations across the world for improved, multi-user experiences. To achieve this, Origin introduces three main components. The first is Viper, a lightweight camera that works with active marker technology. The camera’s sensors follow Origin’s wearable tracking clusters named Pulsar, which consist of several LED markers that a user would attach to their body (presumably fitted to a piece of clothing) and headset. A third device called the Beacon, meanwhile, allows Viper and Pulsar to communicate over a synchronized wireless network. This new hardware is paired with a software platform named Evoke, which is designed to keep tracking stable and also auto-fix any calibration changes between play sessions. The system comes with plug-ins for game engines (exactly which isn’t stated) for you to integrate into your software. Vicon is currently partnered with location-based VR company, Dreamscape Immersive, which is best known for its Alien Zoo experience, though we don’t know when or where we’ll see Origin integrated into one of its offerings. Vicon will be at Siggraph in Vancouver later this week to showcase its system, though. The post MoCap Giant Vicon Announces Location-Based VR Tracking System Origin appeared first on UploadVR. The post Beat Saber Tournament Looks To Become World’s Largest VR Arcade Event appeared first on VRScout. The post Magic Leap CEO Interview: For $2,295, Start Living 10 Years Ahead Of Everyone Else appeared first on UploadVR. AltspaceVR has released tools to let users create their own sharable spaces in virtual reality. It uses a drag-and-drop interface, allowing you to place objects in a 3D space using AltspaceVR-compatible headsets — including Oculus Go and Gear VR. It’s one of the first major upgrades since Microsoft acquired the social VR platform. If you save the space, you can invite others to join it. You can choose a kit based on popular environments, Campfire and Origin, or make it your own. You can also attend a world-building event to connect with the design community. AltspaceVR will feature the best worlds and let you share your own world on Twitter or Facebook. If you want, you can host multiplayer social games in VR, import your in-world photography snaps, and include teleporters to common spaces. You can give your world a name, a profile picture, and choose a starting environment. Templates include: ​Base Worlds and SDK Playground Worlds. The post AltspaceVR Lets You Build Your Own Sharable Space In Virtual Reality appeared first on UploadVR. The post Artist’s AR Exhibit Shows Two Sides Of The Same Reality appeared first on VRScout. Today we are starting a new series here at UploadVR: every Friday we’re going to livestream an assortment of new VR releases from that week! This means that every single Friday you can tune in over on the UploadVR Facebook page to catch an hour (or more) of freshly picked new VR content pulled directly from Steam, Oculus Home, and PSN. On a related note, make sure you check out our highlighted release lists of the biggest new launches on both PC VR (Rift, Vive, and Windows VR) and PSVR. Since this is our first edition, we’re throwing in an extra game this week from a couple of weeks ago that we’ve been wanting to showcase and never had the time for. Specifically, we plan on showing off the new VR support for the PC version of Megaton Rainfall, a quirky VR art app called Museum of Symmetry, a simple archery shooter called Dungeon Rush, Electronauts from Survios, and a handful of other titles. Join us for our new weekly series focused on highlighting an assortment of the week's new VR releases!For today, we'll be a VR DJ, expert archer, tourist at a wacky museum, and even a tiny little baby! The post Livestream: New VR Releases For The Week Of 08/05/18 appeared first on UploadVR. The post The Biggest Rift, Vive and Windows VR Releases Of the Week 08/05/18 appeared first on UploadVR. I tried the Magic Leap One “Creator Edition” headset this week, after nearly five years of waiting to see what Rony Abovitz and his team have been building out in Florida. I am impressed Leapers shipped Magic Leap One (ML1) on the same day they announced its price and offered it for sale. I am impressed they hand-deliver this new type of standalone computer with an expert who explains how to operate it. I am impressed, and surprised, at the feeling of awe I experienced when I saw Magic Leap One’s main menu floating in between me and another person. My time was very limited with Magic Leap One and I focused most of that time trying to understand the visual experience of the Lightwear glasses. I used to call them “goggles” but when I broadcast live my first 15 minutes with Magic Leap One, I instinctively used the word “glasses” to talk about what you actually wear on your head. They felt light enough in my hands to be called that, I guess. The Lightwear headset is accompanied by the Lightpack processing unit which I put at the top of my pocket. It is wired to the glasses. I then picked up the controller, which reminds me a lot of the Oculus Go controller with an extra button. Magic Leap One’s menu is represented as a circle of floating spheres, anchored rock solid in place. When I first saw this, I immediately wanted small and quick digital characters darting around the room and hiding behind real-world furniture. I’ll explain more on that in a minute. One of these spheres across the room faintly glowed while appearing perfectly solid. The person behind it was slightly darker. The effect lured my eyes to the menu of spheres and gave the subtle impression the person in the background was also in the presence of these glowing spheres. I believed the spheres were floating there to a degree I never have with a HoloLens digital object. Despite not being properly fitted, not being instructed how to use this headset and a field of view that is “constantly distracting”, as The Verge’s Adi Robertson put it, I found myself suddenly playful with ML1. When I realized a block I made had dropped onto the floor, I sat up and leaned far over the table and peered down to the floor on the other side. As soon as my head cleared the table I saw the semi-transparent orange block sitting on the floor where I expected it to have fallen. In that type of situation, with a HoloLens, I might expect to notice the field of view restriction or some other failure of the system before finding the digital object. That’s not what I perceived with Magic Leap One — there was no break in the illusion in this one specific moment. It was a simple but powerful demonstration of Magic Leap’s technology. The post Hands-On: Magic Leap One Creator Edition Is Looking Like A Solid AR Developer Kit appeared first on UploadVR. The post The Biggest PSVR Releases Of the Week 08/05/18 appeared first on UploadVR. When I reviewed Rock Band VR last year, I loved what the team at Harmonix did to bring the feeling of playing a guitar, on-stage, in front of a live audience to VR headsets. I am a huge fan of the Rock Band and Guitar Hero franchises, all of my plastic instruments still work and get used every now and then, and the track list was solid. However, it’s not a real Rock Band game without the actual full band. It was only the guitar and that left me wanting more. Guitar Godz came along with a Kickstarter campaign that crashed hard, so now we’re left wanting. Then I heard about Riff VR. This ambitious project aims to bring together guitar, vocals, and drums all into one VR experience. It’s not multiplayer (yet) but it all works right now in Early Access…sort of. Truthfully, it’s pretty janky right now. Without a physical prop to hold as a guitar it feels really strange strumming the air. I play air guitar all the time at home, but I’m not craning my neck down to try and hit floating virtual colors. It’s a strange mixture because playing air guitar is all about performance instead of accuracy, but then in Riff VR you have to be perfectly precise with hitting the right notes at the right time. The two styles don’t really meld together very well. And then the drums are just a beast of their own. Games like Electronauts have proved that you can accurately capture the sensation of drumming on virtual objects using haptic feedback to make it feel good, but that’s not really the case here in Riff VR. They’re just not that responsive and the difficulty curve compared to guitar and singing is just unreal. Actually hitting all of the notes in-time with the song requires borderline professional drumming experience and prior encyclopedic knowledge of the song. The great thing about drums in Rock Band is that, even if you’ve never heard the song before, it was accessible enough that you could follow along and feel like a drummer, even on higher difficulty settings. But the lack of really responsive controls makes it hard to get into drumming in VR here. Unexpectedly, the vocals are what I enjoyed the most in Riff VR. Since the game has such an excellent soundtrack of songs I already know by heart (Final Countdown by Europe, I Was Made For Loving You by KISS, Sweet Home Alabama by Lynyrd Skynyrd, and several others) it was fun to just jump right in and belt out the words. I don’t have a great singing voice, but SingSpace (ironically, another Harmonix VR game) taught me that there is no shame when wearing a VR headset so I don’t even care. The post Hands-On: Riff VR Has Potential To Realize A Full Rock Band VR Vision, But Not Yet appeared first on UploadVR.